Intuitive Eating – Break Free From Diets! Getting to know your inner critic — and enlisting his or her help! Posted on November 7, 2012 at 2:09 pm. As I mentioned in my previous post, I am enrolled in a writing class through Original Impulse where I am delving deep and becoming more connected to my writer self. This week, we did an exercise where we introduced ourselves to our inner critic (or gremlin) and tried to get to know it instead of avoid it. This technique made me think of principles in Acceptance and Commitment Therapy (ACT), as it encourages going into the emotion and engaging it with acceptance instead of trying to rid ourselves of it. I often work with my clients in a similar way to identify and get to know their critic voice. For those struggling with an eating disorder such as bulimia, anorexia, or binge eating, there can be an “eating disorder voice” or “critic voice” that speaks negatively or destructively to them and damages self-esteem and healthy coping. In getting to know the voice, speaking back to it, individuating ourselves from it, we can feel empowered and free. We can even utilize the voice’s power for our own good — try to understand what it needs, what it wants, and how it can help us instead of harm us. I thought I’d share the exercise we did in writing class, altered slightly to speak to the eating disorder voice or whatever the critical voice means for each of us. We all have an Inner Critic. How can we reach across the aisle and enlist his/her support? What’s your inner critic’s gender? Name? What’s his or her favorite color, game, food? How big is she? How old is she? Once you have a clearer picture of your Inner Critic’s way of life and personality, you can separate yourself from her and notice your voice as opposed to hers. Instead of discounting or deflecting her voice, notice her and then set her aside. When she’s been acknowledged and your voice is distinctively used beside her, she loses some of her power over you. What do you want for me? I notice that sometimes the drive under the critic is actually desiring to help us in some way. For example, my critic’s drive for perfectionism is actually her way of trying to help me find whatever I’m looking for to cultivate inner peace. When I am able to notice that, I can reframe the voice, change the words, and funnel that energy into self-care activities. After you’ve tried this exercise for yourself, feel free to leave a comment about how this was for you or anything you discovered about your inner critic. Has your relationship with her changed? In doing this, we can connect with, utilize, and befriend all parts of ourselves and not feel like we need to “banish” any of them — even our Inner Critic. Join now and receive a FREE copy of Kate's e-book, "Why Do I Feel so Out of Control With Food?" Your email address will never be shared without your permission. All fields are required. Kate Daigle Counseling is located in the Awaken Healing Center at 1574 York Street, Suite 103, in Denver (very close to the 16th Ave. bike path!). You can easily take the 15 or 24 bus to my office and they have stops that are very close-by. The nearest crossroads are 16th and York; nearest major streets are Colfax and York. I am one block from City Park. There are onsite parking spaces at my office behind (to the east) of the building. You also may park at the dog park across the street from the building (to the east) and also many options for free street parking in the area. 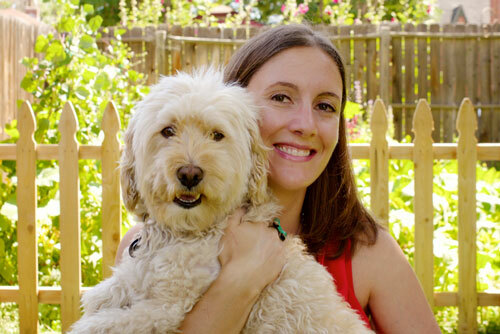 Kate Daigle, MA, NCC, LPC is a Licensed Professional Counselor in the state of Colorado. She has a Master’s Degree in Counseling Psychology and Counselor Education from the University of Colorado Denver, and has been specializing in the treatment of eating disorders since 2007. Kate’s approach is strengths-based, and she empowers clients struggling with eating disorders, depression, anxiety, abuse and other issues to “write a new life story without eating disorders.” Kate also has a passion for working with those of the LGBTQ community and is a specialist in identity and self-esteem issues. Using mindfulness meditation, Acceptance and Commitment Therapy, and other techniques to heal the mind-body connection, Kate’s holistic body-centered approach has been proven to be especially effective for treating eating disorders. Through personal healing experience in her own life, Kate is deeply empathetic and places emphasis on nurturing the mind, body and soul in therapy.